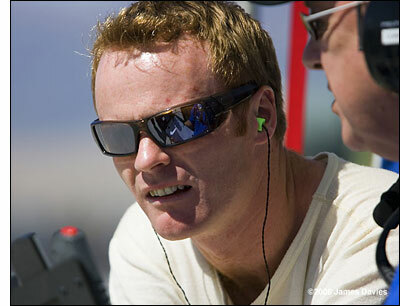 Two weeks to go until Petit Le Mans, and we can start to spread the news about the event – beginning with the fact that Robin Liddell re-joins Alex Job Racing for the 1000 miles, partnering Mike Rockenfeller and Marcel Tiemann. “Before Portland, Alex was looking for a driver for the balance of the season, but there was the issue of the clash between Utah and Mosport,” explains the Scot. With both Rockenfeller and Liddell racing at Utah on the Saturday of the Mosport event, AJR wouldn’t have had a driver present for qualifying! More PLM news later today (Thursday). 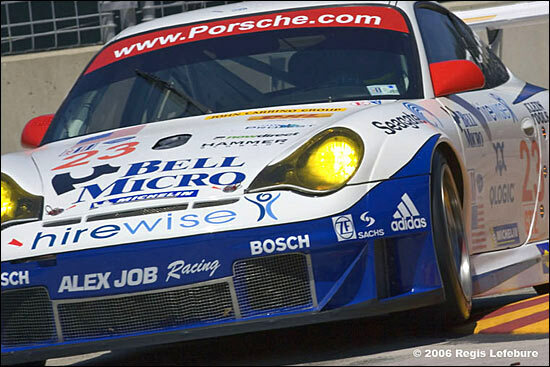 Here's the #23 Porsche on the way to its only 2006 win, so far, at Houston.